This enjoyable picture book has a simple message: ‘fantastick’ fun can be had with a stick found in the woods or on the beach. 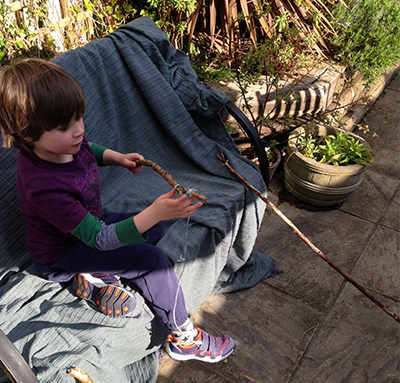 With a little imagination a stick can become a dinosaur, trumpet, fishing rod or rocket. 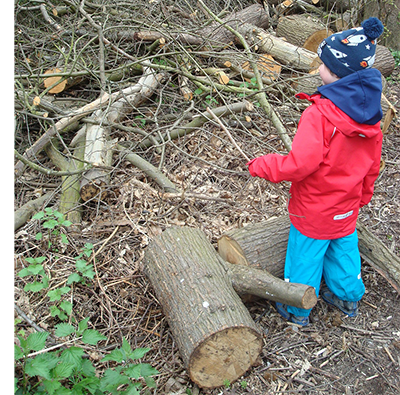 This is an idea which will inspire children’s own imaginative play. Exploring this book is also an opportunity for children to find out more about the natural environment and trees in particular. As you read the story aloud pause to talk about the illustrations and what’s happening; for example think together about where Stanley and his family might be going in the first double page picture or how he feels when he is ‘stickless’. Children will notice other things they want to discuss as well. 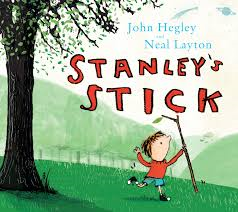 See if you can remember all the ways Stanley plays with his stick, talk about this together and look through the book to see if you have remembered them all. Which of Stanley’s ideas does your child like best? After hearing the story a few times, children will get to know it well, especially with the repetition. Encourage them tell it to you in their own words, perhaps using some words or phrases from the story, turning the pages, lifting the flaps and using the pictures to help them. Give your child a large piece of paper to draw pictures of Stanley playing with his stick in different ways. 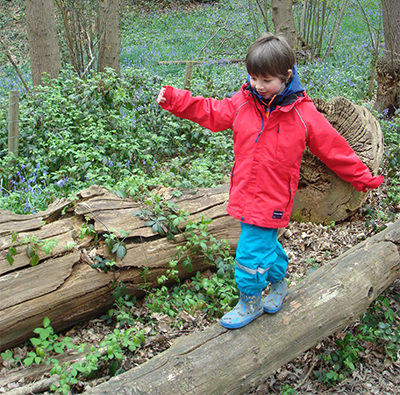 See if you can find a stick or sticks like Stanley’s in the park or woods so your child can experiment with some of the ideas in the book or invent some more ways to play with sticks themselves. Take photos of your child playing with their stick. You could print the pictures and stick them into a small note book or fold and staple some sheets of paper together – or even sew them down the centre. 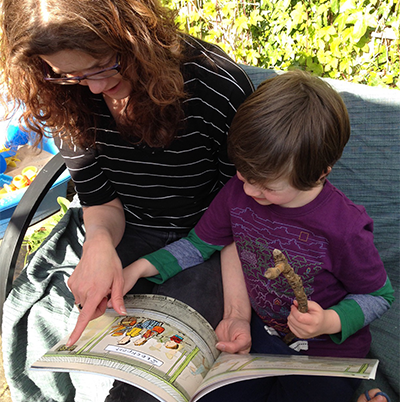 Your child could tell you about the pictures and you could use what they say to make captions like a photo album. Children will enjoy looking at it and reading it themselves. Sing songs or rhymes about sticks. You will need two rhythm sticks or two wooden spoons. Click here for a rhythm stick song you can watch or join in with. Go on a trip together to a wood or park and look at the trees. Talk about them together; what do children notice? Make rubbings of bark using thin paper and thick crayons. 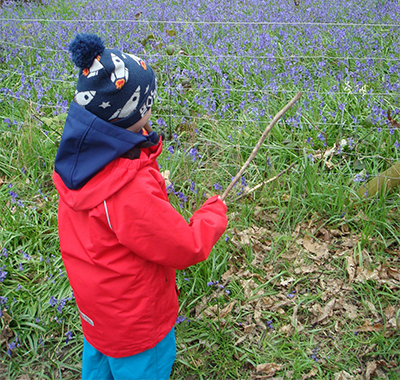 Collect leaves or seeds and make a display – can you find out which tree they come from? Click here for help identifying trees from their leaves.